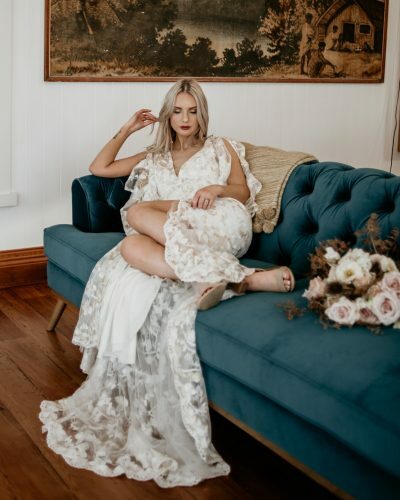 The free-spirited sister duo at Boho Bridal Design, Abbey and Lisa design effortlessly cool wedding gowns for the modern bride. The fiercely fashionable wedding gowns that are anything but ordinary. With the intention to create gowns that reflect the brides who wear them; they are soulful, playful and full of sass and provide elegant alternative that is truly unique. Bluebell Bridal is proud to showcase, a selection of these fabulous, gracious gowns for our brides. Exclusive to our salon in Victoria.